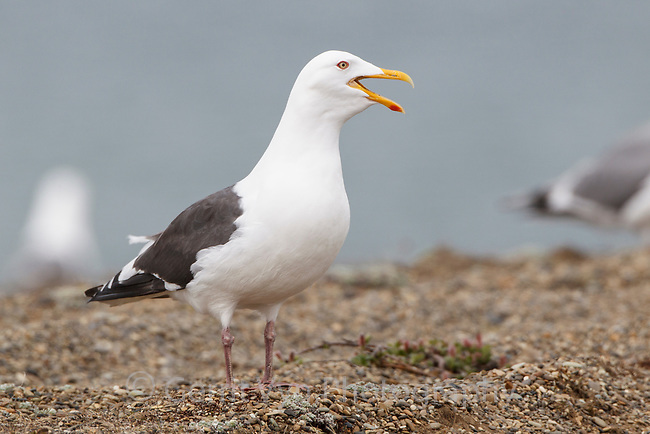 Slaty-backed Gull (Larus schistisagus) calling. Chukotka, Russia. June.